Pink Shoes: Whose pain do I feel? Whose pain do I feel? So, I’m helping out with a unit in the sixth grade social studies classes at the school where I work. It’s about micro-finance. (Remember to cover your mouth when you yawn). However, I love global micro-finance and think it’s so cool to imagine women in small communities around the world doing things like selling peanut butter, or fruit at a market, or braiding hair, or baking bread, or whatever, to better their families and communities—women that most people would pass over and wouldn’t think could make a big difference. Our students are working with an organization called One Hen to develop their own small business using a loan; they’ll sell their product--key chains--and donate some of their profit to charity—a crucial element of micro-finance. They are so into this unit and so excited about it! (of course being filmed today for a promotional video for the organization didn’t hurt). Before the students decided on their charity to donate to they had to fill out a sheet called, "Whose Pain do I Feel?" It helped them narrow down the problems in the world that they felt tugged at their heart the most--it's different for everyone--many times for an inexplicable reason. I've been thinking about that question myself a lot lately as a result. Whose pain does Maggie feel? I could answer this question so many ways....some very specific answers and some very global. However, there is one thing I've wanted to do my whole married life and have just never done it. 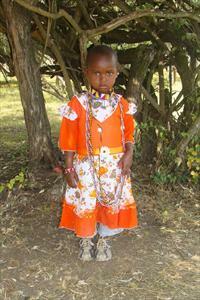 Sponsor a compassion kid. I feel that pain--the pain of kids who don't have clean water, can't wait to go to school but don't have the money, don't eat on a regular basis, are in abusive and neglectful situations, and whose parents might want a better life for their kids but they just don't have the means to do it. All growing up my family sponsored a child--her name was Esperanza--and we wrote her letters, she wrote back; I loved it. I taught a student at one point whose family traveled to Honduras to meet their compassion kid. They said it was incredible. I want my daughter to grow up with an understanding of global issues and a burden for those outside of her day-to-day. I can't wait to take her to visit the orphanage in Kenya our church supports and to show her how much bigger the world is than wherever we happen to be living. I can't do all of that right now--but, we can set the precedent in our home that we help out other people.....people who desperately need it. We bought a Dora the Explorer playground ball at Kohl’s yesterday to donate to a school in China and when I told Georgia we couldn’t open it and that it was for other little kids who didn’t have any balls to play with you would have thought I’d told her she couldn’t have any more macaroni and cheese (if you know Georgia—you know this would be tragic). But, about a ½ hour later she said to me, “That Dora ball….it’s for the other kids?” I said, “Yep.” And she said, “Okay. That’s pretty wonderful.” Proving to me, that even the youngest kids can understand the idea of giving. So, I think it’s time to sponsor a compassion kid. I think she’ll love having the picture. She’ll carry it around and say, “Hi Jackline. How are you? You wanna play a little bit?”--because that’s what she says to everyone. And even though she might not completely “get it” right now-she will eventually, and she’ll know that we help Jackline have good food to eat in a place called Kenya. And mostly, what I hope that she knows more than anything one day is that when you think about whose pain you feel the most, or maybe just a little—you should do something about it. So…..whose pain do you feel? Love this. Love your heart. How do you pick, from so many places that say they are helping children? How do you know which ones are really doing the good work? I just saw this! Sorry for the delay in responding. I picked compassion because they've been around for over 50 years and their record of giving and impact is perfect. They use over 80% of what they receive to run their child care programs--all of their financial information is on their web site. Forbes magazine also recognizes them as one of the most fiscally responsible non-profits there is. I also love that they focus on individual children. Research shows that helping individuals over come poverty has more of an impact on a community than just helping the community as a whole. When one person feels that they are overcoming their circumstances they are more empowered and can do great things. I've also known about five people who have visited their compassion kids multiple times and have nothing but amazing things to report on behalf of their child as to what compassion as done in their lives and the lives of their family. World Orphan is also a good one I hear--although I don't know a lot about it. so moving maggie...as all your writng...this piece is completely inspiring! i love your heart and to hear g's heart too- it couldn't be any sweeter. Bless you for spreading the word! !